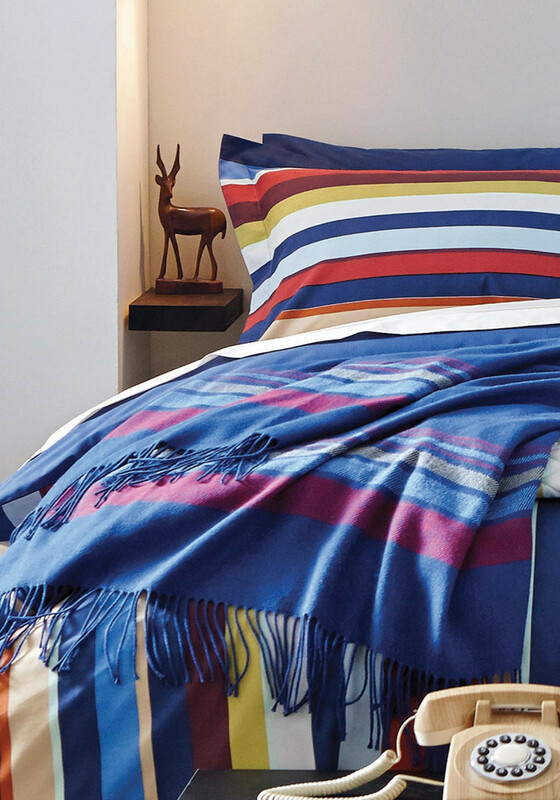 The Cody throw with fringed edging comes from Series by Helena Springfield. The size of the throw is 130 x 170cm. 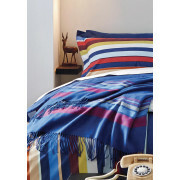 A blue throw with a woven six colour stripe design. Matching items of bedding, cushion and curtains available to match this beautiful collection.